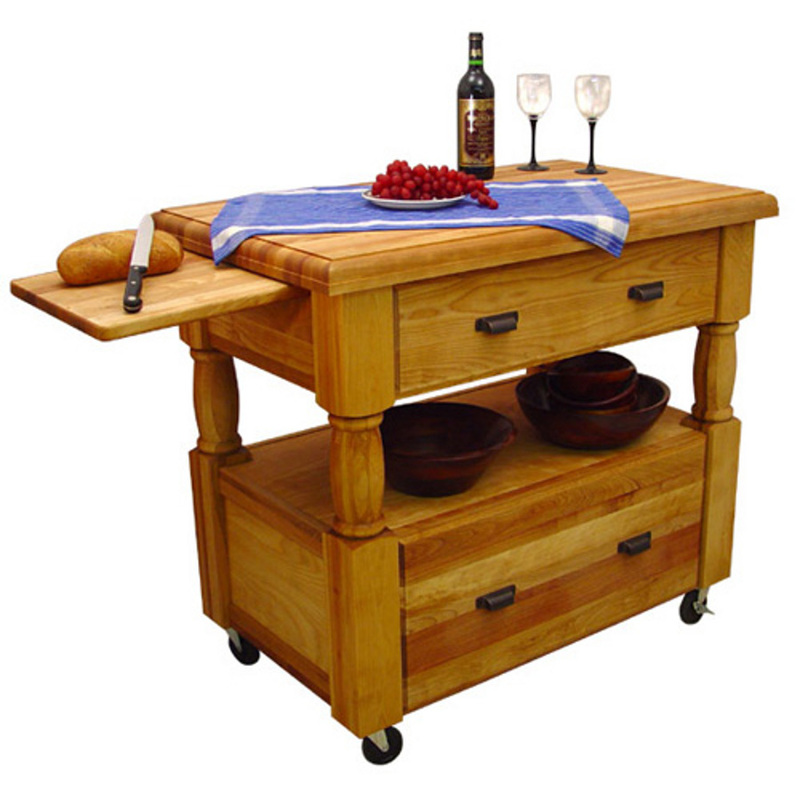 Catskill Europa Work Center with Removable Cutting Boards - 40" x 24"
It’s obvious where Catskill designers got their inspiration for the elegant Europa rolling island. 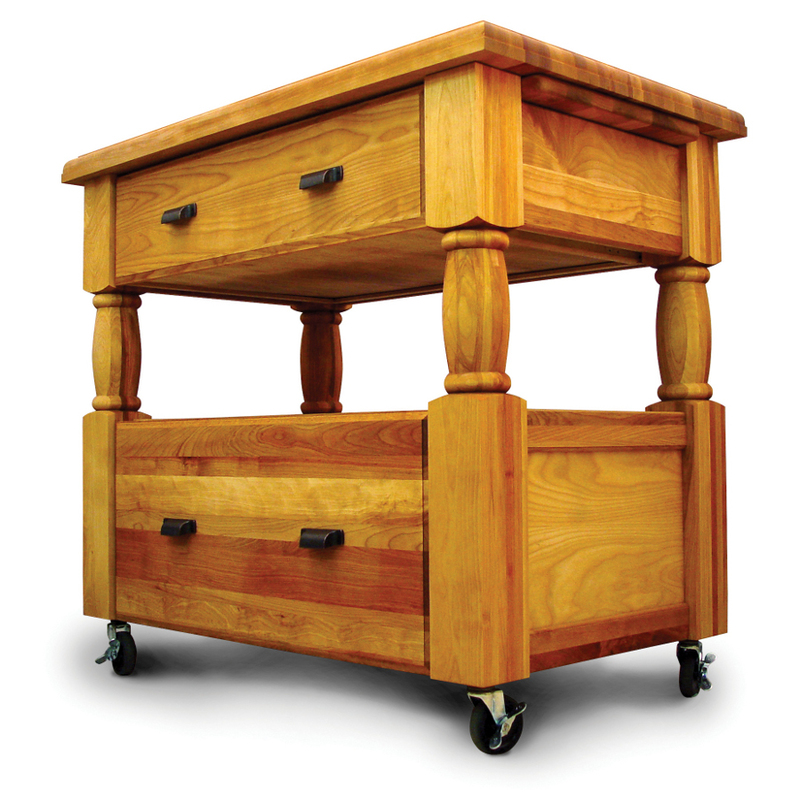 It’s attention to detail in production, as well as design, that makes this butcher block cart so stylishly appealing - such details as the Roman Ogee edge on the work station’s top, massive square legs that are turned only where they align with the work station’s open shelf, and full-extension drawers with bronze handles. 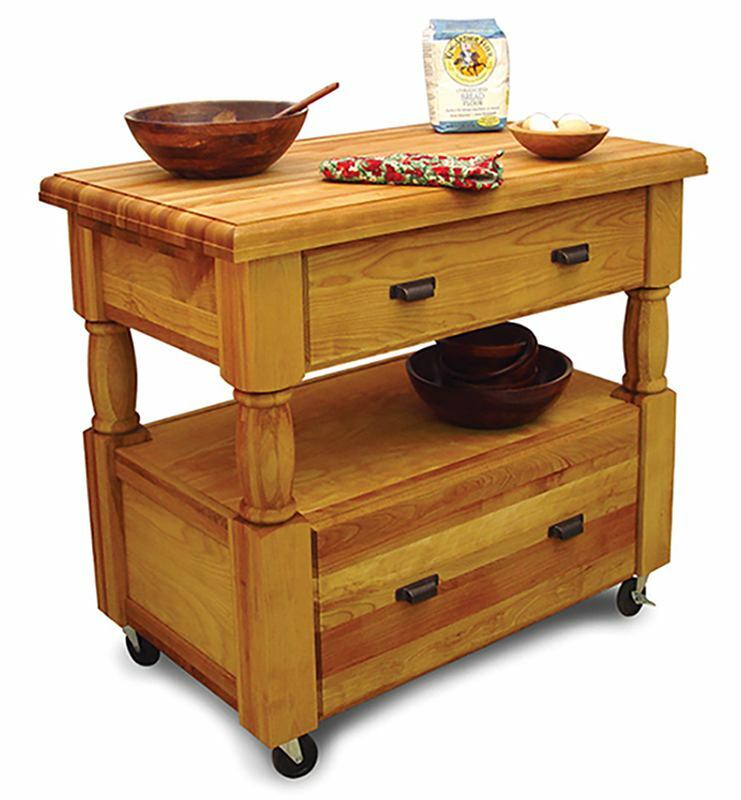 The island cart’s open shelf allows quick, easy access to kitchenware and ingredients you use frequently. 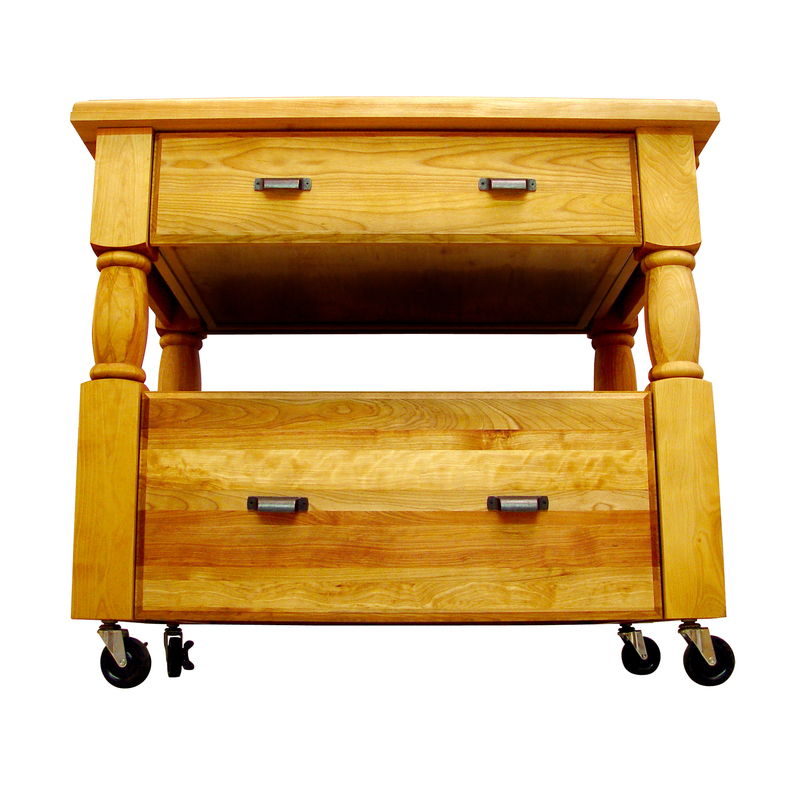 Two large-capacity storage drawers provide ample space for storing and organizing pots, pans, utensils and even dinnerware and linen, all out of sight.